THE new President of the Irish National Teachers’ Organisation is Sean McMahon, principal of Mullagh National School. 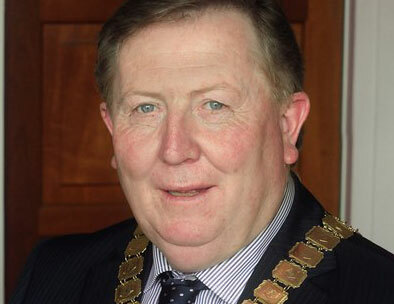 He was presented with the president’s chain of office at the union’s annual Congress in Kilkenny on Wednesday. Mr McMahon attended primary school in Coore National School and completed his secondary education in C.B.S. Ennistymon. He then attended Mary Immaculate College of Education in Limerick, graduating as a primary teacher in 1979. He worked in a number of different roles as a primary teacher. His teaching career began in 1979 in Rathdowney Boys’ National School, Co Laois teaching fifth class boys. In 1980 he moved to Annagh National School in Miltown Malbay teaching third to sixth class, in what was then a two teacher school. This marked the beginning of years of campaigning for more support for small rural schools. During his teaching career, Sean attended University College Galway for three years graduating with a Master’s degree in Rural and Community Development in 1989. His thesis dealt with the implications of school amalgamations for rural communities an issue that has re-emerged recently as a major challenge at primary level in Ireland. He also completed a H. Dip. in Education in University College Galway in 2004 and helped other schools to improve their school planning by working as a part-time tutor for a number of years. In 1990 Sean was appointed as a teaching principal of Mullagh National School where he continues to teach fulltime as well as being principal teacher. Mr McMahon has been actively involved in the INTO since the 1980s initially as school staff representative. He has represented Clare, Tipperary and Waterford, on the national executive of the union since 2007 serving 17 INTO branches from “Loop Head to Hook Head”. Before that, he was a member of the union’s Principals’ and Deputy Principals’ Committee. He has also served as secretary and chairperson to the West Clare INTO Branch. During his time on the executive he has represented INTO members to schools management and the Department of Education and Skills. He has a particular interest in the difficulties facing small rural schools and the challenging role of teaching principal. Sean is married to Gerardine who is also a primary teacher.